The Art of Travel arranges travel to all areas of Japan. Japan is divided into nine separate regions. Each is home to unique culture, nature, and ways of life. Known for: Tokyo’s urban sprawl, which gives way to quieter suburbs and some of Japan’s best day-trip adventures. The world’s largest city is not to be missed for its fashionable districts, eccentric sub-cultures, amazing food and a fascinating history. Seasonal highlights: It’s always lively in Tokyo, but the city gets especially busy for cherry blossom season in early April and around the New Years Holiday. Consider visiting in late spring or early autumn for higher availability in popular spots and a more tranquil experience. Tokyo is the story of Japanese modernity. From its origins as a humble fishing village to the world's largest metropolis, the practical and cultural forces behind the growth of the cosmopolitan behemoth are staggering. 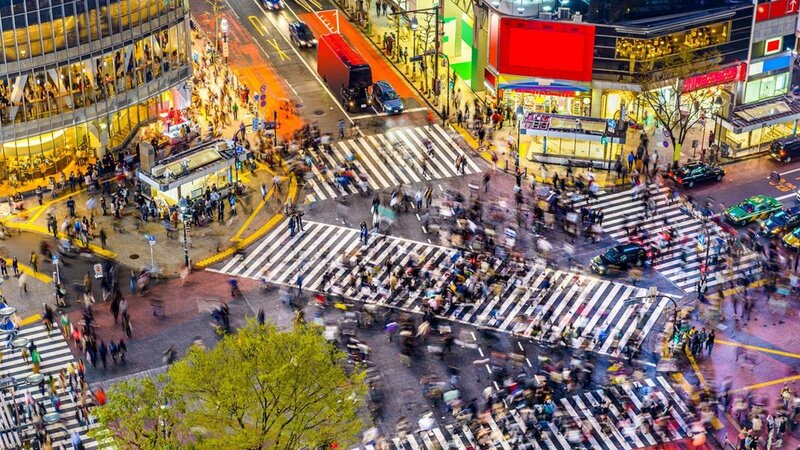 From Shibuya’s famed scramble crossing to quieter artsy backstreets, the possibilities for exploration are endless. There's no better place to admire Mt. Fuji than from Hakone, a volcanic region just outside of Tokyo filled with traditional ryokan inns, impressive natural vistas, and some of the country's finest onsen hot springs. Art lovers are in for a treat as well with the region boasting an assortment of fine museums. Explore the famous Tsukiji Fish Market or dine at one of the city’s many Michelin-starred restaurants. 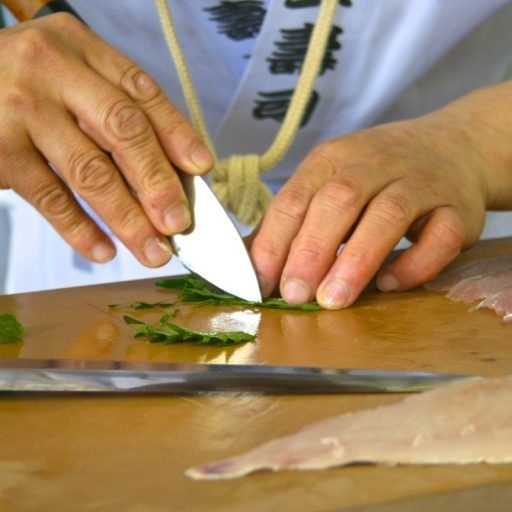 Join a seasoned chef for a private cooking lesson, or let our resident sake expert pair his favorite local delicacies with the perfect drink. Take a break from Tokyo with an overnight retreat in Nikko, a historical town to the north. Enjoy the region’s finest nature including waterfalls, hiking, and expansive views of Lake Chuzenji from several luxury ryokan inns. 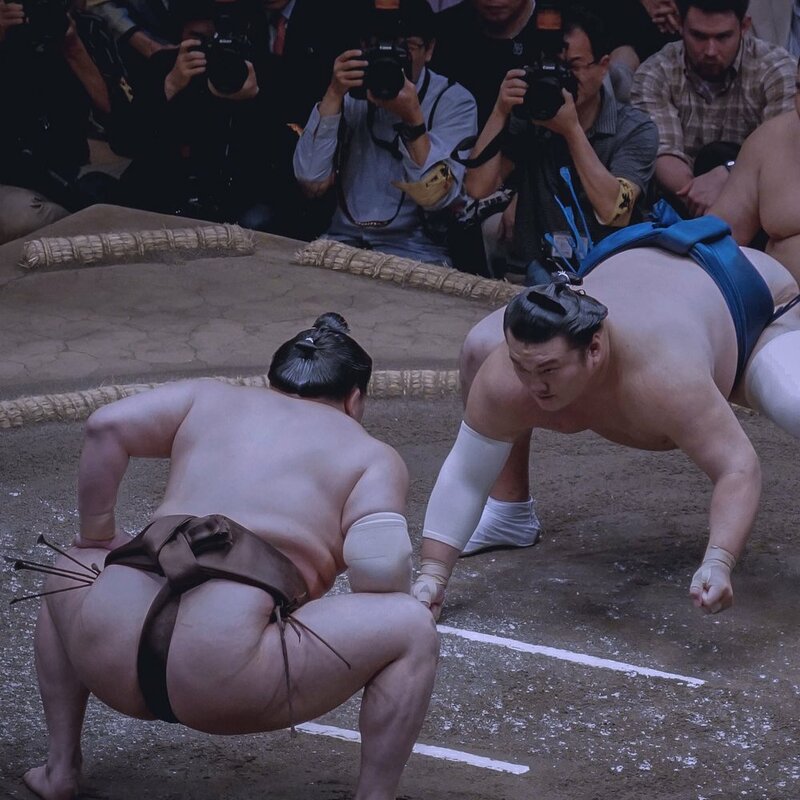 If your travel dates align, witness the thunderous action of the Grand Sumo Championship and fall in love with Japan’s national pastime. Beyond the championships, watch practices at a Sumo Stable and meet the wrestlers over lunch. Known for: As the Cultural heart of the nation, Kansai is bursting with exciting sites and activities. The cities here are steeped in history, and opportunities abound for escapes into the countryside for special experiences like hiking the Kumano Kodo pilgrimage trail or staying overnight in a monastery at Koyasan. Seasonal highlights: Midsummer brings local festivals, the most famous being the Gion Matsuri in Kyoto and the Tenjin Matsuri in Osaka. Flexible travelers should be sure to include these events in their travel schedules. As the political and cultural capital for over a millennia, Kyoto's artistic gifts to the world are uncountable, and the city remains an important destination for travelers of all types. Whether your interests lie in art, food, gardens, photography, or spirituality, Kyoto promises to deliver an enlightenment beyond your expectations. 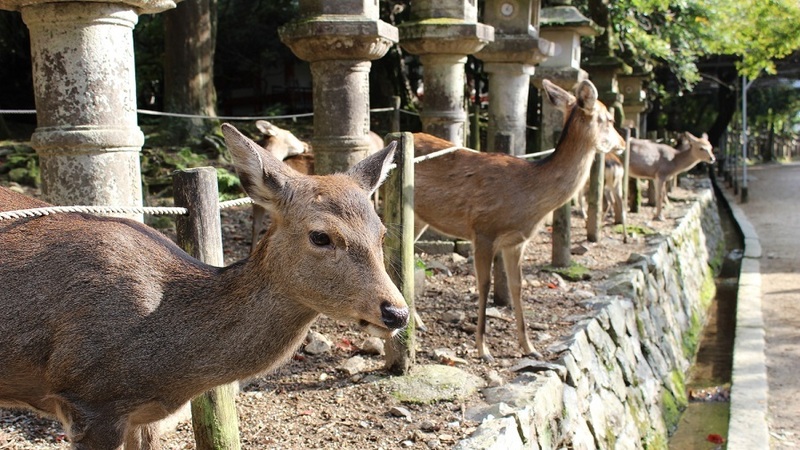 Before Tokyo - even before Kyoto - there was Nara, the original capital of the Japanese nation. Known best as the home of the world's largest bronze Buddha statue and thousands of tame deer wandering the city streets, Nara is the perfect daytrip for travelers passing through the Kansai region. 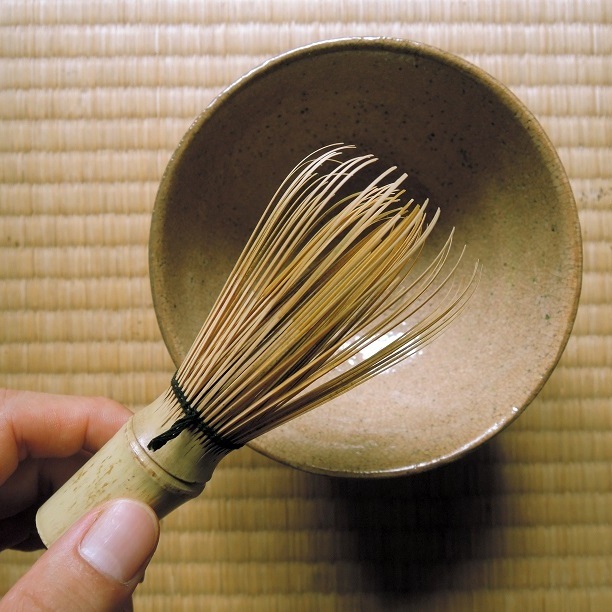 One of our most-requested cultural activities is the refined matcha tea ceremony, and we’ve cultivated a special relationship with a remarkable young tea practitioner. Enjoy a private ceremony in his traditional home after a walk through a Zen temple. Spend a day or two enjoying the sights of Osaka, where a warm sense of lived-in charm permeates the city. Go farther afield into the coastal countryside with an overnight trip to Ise, land of the ancient Shinto gods and one of our favorite spa resorts. Experience the pinnacle of rustic luxury with a stay at a private countryside villa. Only in a residence like this can you truly get a feel for the quiet charm of the Japanese countryside. Gourmet meals and cultural activities available as well. Known for: Wide open wilderness and plenty of avenues for adventure. Whether you’re after outdoor recreation, phenomenal nature photography, or some of the county’s best seafood, Hokkaido has you covered. With enough physical and cultural separation between Hokkaido and the rest of Japan, this northern island almost feels like visiting a whole other country. Seasonal highlights: Summer are mild in Hokkaido, providing respite from the heat that blankets the rest of the nation. Winter delivers some of the world’s best powder, offering unparalleled skiing and boarding. In February, Sapporo hosts the Snow Festival, with large snow sculptures and plenty of fun outdoor events. As the island’s biggest city, Sapporo is a perfect base to explore the rest of Hokkaido’s wilderness. From 19th century architectural treasures to the famous Snow Festival in February, there’s plenty to see in this welcoming northern city that prides itself on ramen noodles, cold beer, and winter scenery. There’s no denying that Niseko lives up to its reputation as one of the top powder destinations in the world. The skiing here is top notch, and the luxury accommodations are even better. With backcountry access by helicopter and helicopter dropoffs for seasoned pros, Niseko is all that a winter sports fan could possibly dream of. 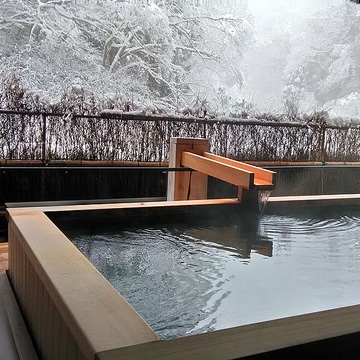 Hokkaido is the perfect spot to enjoy a dip in a traditional onsen hot spring. As an active volcanic area, the northern countryside is filled with minder-rich baths. Stay at a luxury ryokan inn to enjoy exceptional service and relaxing outdoor baths. Some of Japan’s best food can be found up north. One bite of Sapporo’s famous ramen and you’ll be hooked, and kaisendon sashimi rice bowls let you savor the rich seafood from the frigid northern waters. Melons, curry, and bbq lamb are also popular. Summer in Hokkaido offers stunning views, and is a nature lover’s paradise. Lake Akan, located in the north-central part of Hokkaido is a stunning crater lake in Akan National Park. Nearby are opportunities for hiking, photography, and autumn leaf viewing. Known for: The northeast corner of Japan’s main island has an abundance of history, rural culture, and hospitality. Here you’ll find ancient towns and cities offering many varieties of craft sake, beer and wine, farm-to-table meals, crafts, festivals, and samurai culture. In the mountains, you’ll find quaint restored towns and mysterious forest shrines dedicated to nature gods. 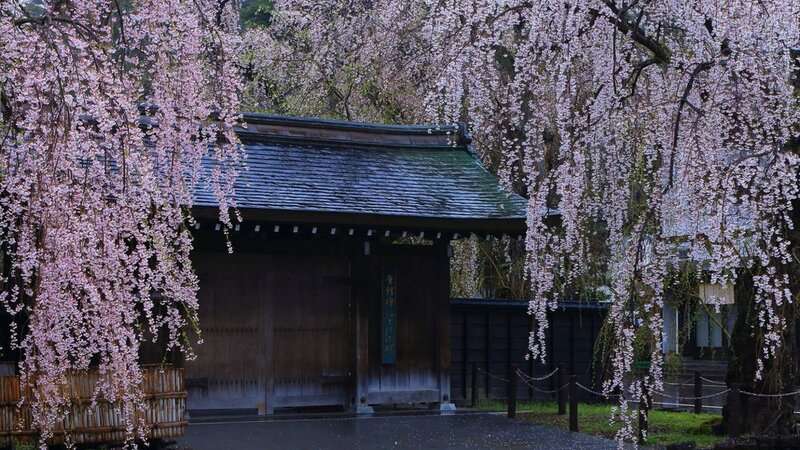 Seasonal highlights: Escape the crowds and witness some of Japan’s best cherry blossoms with the late blooming trees in this northern region. Winter hits hard here, but brings with it opportunities to admire excellent snow-covered scenery. Summers in the north are a welcome respite from the season’s heat, and are ideal for hiking and trekking adventures. High in the three holy peaks of Dewa you’ll find a collection of shrines and temples deep in the forest watched over by Yamabushi, traditional mountain monks. This is a great chance to learn about the unique religion of the area, as well as experience the region’s best natural settings. A perfect destination for those who want an inside look at Japan. An amazing window into the past exists in this small town in Akita Prefecture. 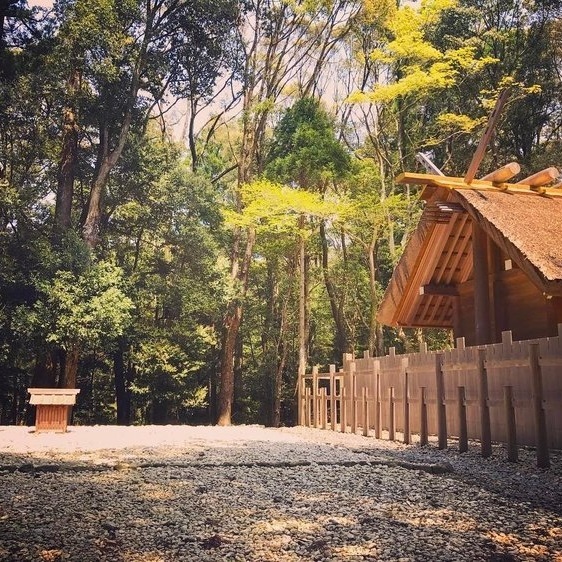 The former houses of the once-thriving samurai village are open for visitors to peer into, offering a rare chance to see finely preserved historical housing. Get a taste of country living for yourself with a stay in a nearby luxury villa modeled after one of the samurai residences. The Buddhist monks of the Yamagata mountains dine on a unique local cuisine called shojin ryori. The wild roots and vegetables they consumed were said to give them energy from nature. Try this special meal for yourself to connect with the forest. Cherry blossoms bloom later in the north, and early May is the perfect time to enjoy them in Aomori. Hirosaki Castle is one of the prime locations for a spring picnic under the pink trees surrounding one of Japan’s few remaining original castles. Nature-lovers will swoon over Lake Towada National Park. The Oirase Stream offers amazing red foliage as you walk a path along waterfalls in early autumn, and the view of the lake’s cliffs from boat or car is mesmerizing year-round. Known for: Placed in the heart of the main Japanese island, the cultural and natural variety in Chubu is vast. From the mountains of Nagano to the Pacific coast and the Sea of Japan, the fantastic scenery here is connected to Tokyo by the new Hokuriku bullet train. Art and traditional culture reign supreme here, especially in Kanazawa, the hometown of The Art of Travel. Seasonal highlights: In late autumn, the yukitsuri ropes go up in the gardens of Kanazawa, offering a signature seasonal view that the locals wait for eagerly. 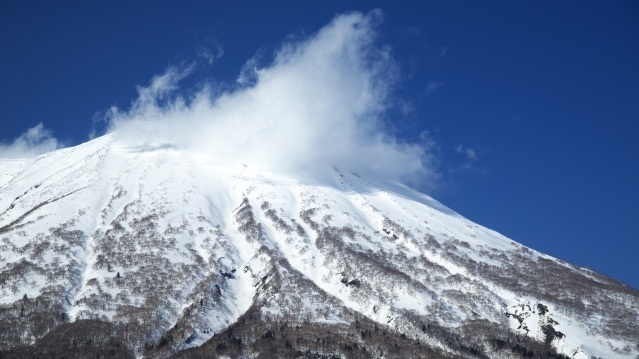 The Japanese Alps blanketed in snow is a remarkable site, and perfect for enjoying piping hot local cuisine or soaking in a hot spring bath after a day of shredding down the mountain slopes. Kanazawa is one of the most intriguing destinations in Japan, especially for art lovers. Accessible from Tokyo by direct bullet train, this marvelous city on the coast is home to Kenrokuen, one of Japan’s most beautiful landscape gardens. Wander the traditional Higashichaya district, or visit the 21st Century Museum of Contemporary Art. Situated high in the Japanese Alps, some of Japan’s best winter slopes can be found here, along with a multitude of hot springs set among breathtaking scenery. Enjoy a snowy ski vacation, or visit in summer months and take in lush greenery. 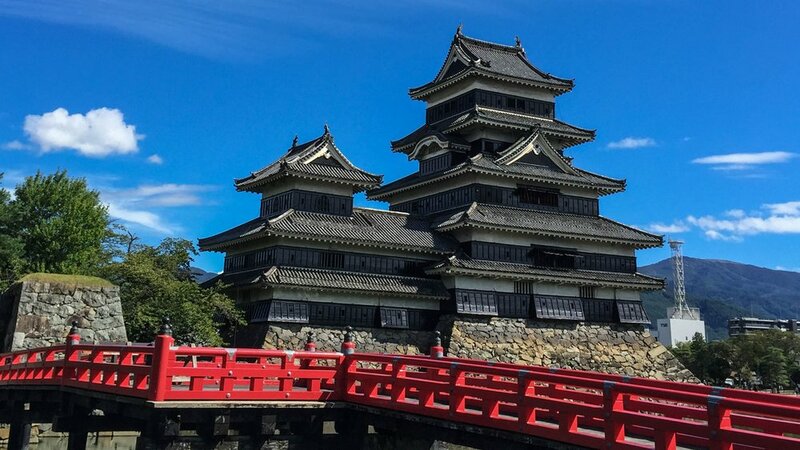 Be sure to visit the imposing Matsumoto Castle, often called the Crow Castle for its black exterior. Let The Art of Travel open doors to exclusive art experiences that are unavailable anywhere else. From renowned potters to charming goldleaf artisans, the craftsmanship of Kanazawa will be a trip highlight. Experience the rare thrill of an up-close geisha performance in an intimate private dinner. Enjoy lavish food and drink and refined entertainment before retiring to your room at one of our favorite local traditional ryokan inns. 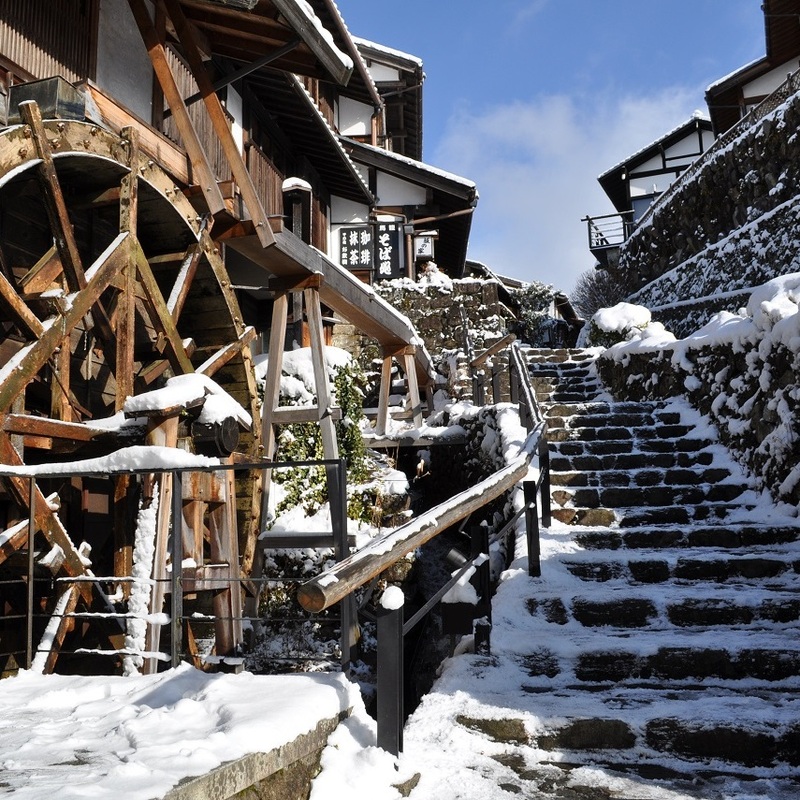 Step back in time with a visit to the old town of Magome, exploring the main street and preserved 19th century storefronts and inns. Walk the old Nakasendo trail through nature to complete the experience. Known for: The western reaches of Japan’s main island hosts a playful duality. The heavily settled region facing the Seto Inland Sea features preserved towns, picturesque islands, and the all-important history of Hiroshima. The region’s northern coastline on the Sea of Japan is far more rural. Tottori boasts the largest sand dunes in Japan, while Shimane is home to the culturally important Izumo Grand Shrine. Seasonal highlights: Cherry blossoms a week or two earlier in this western part of Japan, so an early spring visit is one way to avoid crowds elsewhere. If visiting midsummer, the Aug 6th Peace Memorial Ceremony is a monumental reminder of the city’s tragic past. Kurashiki is a quaint historic town known for its canals lined with storehouses and traditional merchant homes. Dotting the waterway are preserved homes and buildings, many of which have been turned into museums dedicated to art, archaeology, and folkcrafts. A wonderful window into the prosperous past of this charming town. Kurashiki is home to one of our favorite traditional ryokan inns. With only 5 guest rooms, this luxury property offers a premium experience that will delight you with classic hospitality and warmth. No visit to Hiroshima is complete without trying the local cuisine. Okonomiyaki - the famous Japanese pancake - is a savory treat prepared in a number of ways, each offering unique ingredients and flavors. Miyajima Island near Hiroshima is a perfect destination for fans of traditional culture and scenery. The famous “floating” torii gate sits in the harbor, and a hike up Mt. Misen grants amazing coastal views. Known for: Just a short ride from bustling Osaka brings you to this peaceful island between the Pacific Ocean and the Seto Inland Sea. A famous Buddhist pilgrimage route rings the coastline where most of the cities are located, but venturing inland will bring you spectacular nature and tranquil mountain valleys. A visit to Shikoku feels almost as if you’ve left Japan and entered another country. Seasonal highlights: Being situated along the Pacific coast means Shikoku often takes the full force of the typhoon storms in summer. It’s still worthy of a visit at that time to enjoy the lush greenery of the mountains, but May or October are appropriate alternatives. Imagine a dreamlike land where art interacts with nature to produce a wondrous postmodern coalescence, where the lines between what has been created and what simply is are blurred. 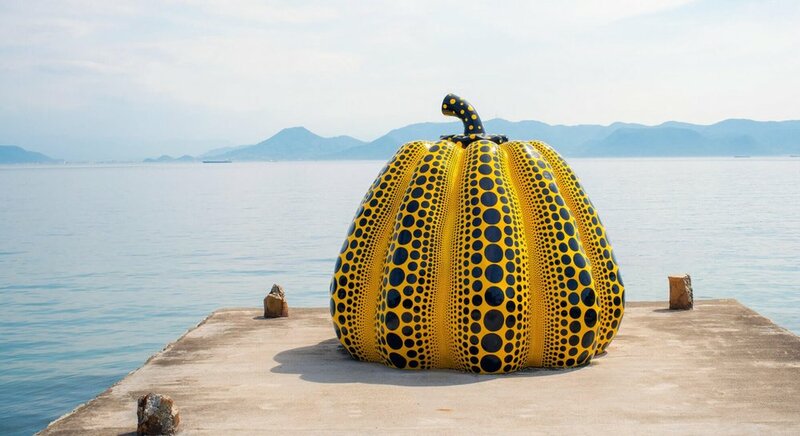 This is Naoshima art island, a fantastic example of how Japan is continuously on the cutting edge of modern art, complete with large-scale installations and cozy gallery spaces. Deep in the heart of Shikoku is a rugged valley carved deep into the earth by an ancient fault line. The Iya region is crisscrossed by gorges and mountain ranges, offering excellent opportunities for hiking and nature photography. Cross the valley on traditional twisted vine bridges and marvel at the river scenery far below. See the hot spring that partially inspired the bathhouse in Spirited Away and enjoy a dip at Dogo Onsen. The history of this bath stretches back over 1000 years, and features a private room for use by the emperor. Complementing Naoshima are two smaller islands nearby with their own unique take on environmental art. Inujima and Teshima Islands incorporate their isolated rural settings to inspire and surprise visitors. Ritsurin Garden if often considered one of Japan’s finest landscapes. With 6 ponds, 13 hills, and the graceful Mt. Shuin looming over it all, this garden is a Shikoku must-see - especially from water level via a boat ride. Known for: Sometimes called Japan’s “Land of Fire,” Japan’s third largest island of Kyushu is home to a number of active volcanoes. This ensures an ample supply of mineral-rich water for the many hot springs that dot the scenery, as well as plenty of rugged landscape that attracts hikers and nature lovers. A boat ride past the waterfalls of the Takachiho Gorge is a classic Kyushu experience. As the former gateway into Japan for the rest of Asia, Kyushu’s urban culture has been shaped in unique ways be foreign visitors over the centuries. Diverse cuisine influenced by outsiders plays a large role in the regions vibrant nightlife. Seasonal highlights: Kyushu winters tend to be a bit milder than the rest of the country. July brings the exciting Hakata Gion Yamakasa festival in Fukuoka City, with hundred of shrines carried joyfully around the city on the shoulders of locals. Nagasaki has it’s own signature event as well, the Chinese-inspired Lantern Festival in February. Over 15,000 lanterns are paraded through town by costumed participants. This lively city is known for its food scene, with bustling nightlife surrounding the food stalls that pop up nightly on the city streets. Ramen with creamy pork broth is a favorite, as well as hakata-style sushi. Fukuoka works well as a destination from where you can explore Northern Kyushu, including nearby temples and local craft centers. 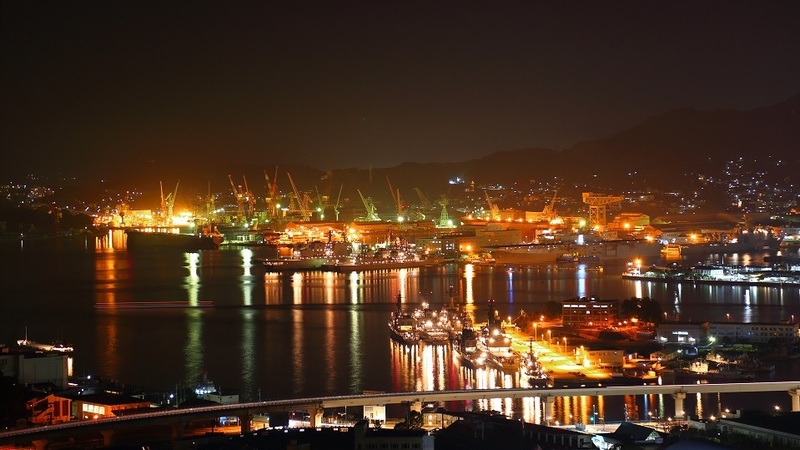 Nagasaki was founded as a foreign trading port by the Portuguese in the 1571, and the city took on a multicultural flavor, with Dutch, English, and Chinese merchants all leaving their mark. It’s vibrant recovery from nuclear destruction allowed for a unique landscape of reminders of the past and adaptation to the modern era. One of Japan’s most sought-after high end experiences is the Seven Stars Luxury Train that circles Kyushu on a 4 days coastal “rail cruise,” featuring elegant onboard accommodations, exquisite cuisine, and sightseeing day excursions. Journey to Yakushima Island, a subtropical paradise off the southern coast. trek through thick forest and encounter Japan’s oldest tree. Quite possibly the best spot in the whole nation to get in touch with the power of nature. Visit the land of the gods in Miyazaki and see where the sun goddess Amaterasu hid herself away in a holy cave in millennia past. Enjoy a traditional performance by locals of the legend as they keep the old ways alive in this rural corner of Japan. Known for: Splendid beaches, friendly locals, and tropical adventure. These islands were once he Ryukyu Kingdom in centuries past, and still maintain a culture and language distinctively unique from the rest of Japan. More than just a beach getaway, Okinawa offers a special country-within-a-country experience to expand your Japan trip. Located on the southern tip of the main Okinawan island, Naha is largest city of Okinawa and built on the ruins of the old Ryukyu capital. Using this city as a base, travelers can experience all the sights and activities on the island. This tropical paradise is the ultimate Japanese getaway for travelers who enjoy plenty of sun. Opportunities abound for hiking, diving, kayaking, or soaking up the sun on the beach for a few days. Witness the splendor of the Ryukyu Kingdom at the crimson Shuri Castle. Rebuilt after WW2, this fortress is unlike any other Japanese castle in style and layout. Enter the throne room and walk the tall castle walls. Go on a nature adventure at the fascinating Valley of Gangara. On a walk through stalactite caves and banyan forests, you’ll have a chance to explore Okinawa’s vibrant ecological system and geological history. Okinawa has long been renowned for its ceramics, and the Tsuboya Pottery District is the creative heart of the island. Visit the pottery museum, and browse the contemporary pieces for sale at shops that line the streets.